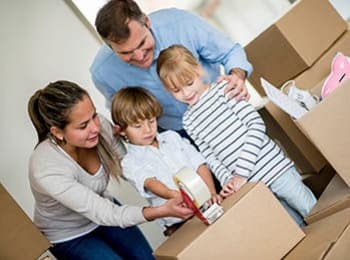 A growing family, a successful small business, or an exciting new job—there are countless reasons to rent a storage unit in Wood-Ridge, NJ. With our wide range of climate-controlled units and competitive storage rates, we're confident you'll find the right solution at Metro. Handy 5X5 and 10X10 units are perfect for student storage, seasonal gear, holiday decorations, and more. 10X15 and larger storage units are designed to hold the contents of a large, multi-bedroom home. Our large storage units also do double duty as commercial storage units for Bergen County businesses. Newly built to industry-leading standards, you can count on our mini storage facility on Route 17 N in Wood-Ridge to deliver value and excellent customer service. Metro Self Storage brings great features such as easy online month-to-month leasing, online bill pay, and an on-site Property Manager to your storage experience. Metro Self Storage makes finding the right business storage simple. Our newly built climate-controlled storage units are conveniently located off of I-80 and within a quarter mile of the Wood-Ridge NJ Transit rail station. Our storage facility features large loading bays and ground-floor access units that make storage fast, friendly, and convenient. Whether you need to store overstock, equipment, files, or furniture, our storage facility is designed to exceed your expectations. We have a storage solution to meet the demands of any local Bergen County business—so give us a call to learn how we can help meet your business storage needs. 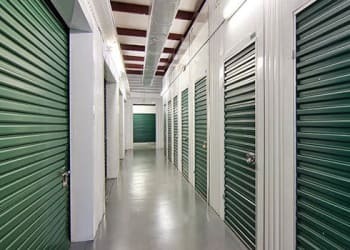 WHY DO I NEED CLIMATE CONTROLLED STORAGE UNITS IN WOOD-RIDGE? Temperature-controlled storage units offer numerous benefits for household and business storage, especially in New Jersey. Summertime temps hover in the high-to mid-eighties and wintertime weather dips way below freezing, which makes the decision to choose climate-controlled storage solutions an important one. Perhaps the biggest perk of renting a storage unit with Metro? If you need to access your business storage unit frequently, it will be more comfortable to have a climate-controlled space. Reserve your climate-controlled storage unit today or stop by in person to learn more about your options at Metro Self Storage in Wood-Ridge on Route 17 N.